Got an used scanner that’s not working accordingly to your need? Do you want a new scanner at a discounted price to improve your team’s workflow? Now is the perfect time by taking advantage of Code’s Trade-in Program! 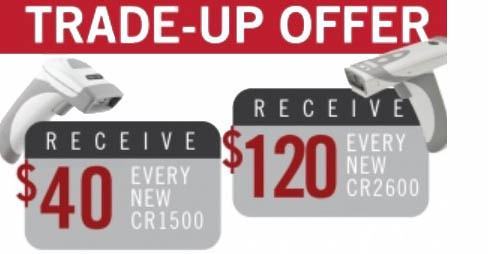 Turn in any old Code or competitor’s barcode scanner and recieve $40 for every new CR1500 or $120 for every new CR2600! We want to be able to see your team working with the best barcoding technology available and that means a Code scanner upgrade to experience the revolution in barcode reading. The physical condition of the trade-in device does not matter, the deal is to trade-in an old device for a new Code scanner. Gather all your outdated or damaged devices and get up to $120 for a new Code scanner! Purchase your new CR1500 and/ or CR2600 equipment here. Send your old equipment into Code and fill out the RMA process form. Code issues you a rebate! Complete the rebate form if you want to participate in the rebate program. Therefore, Code can ensure to match up your incoming shipment of trade-ins (from step 2) to your new order (from step 1). Code scanners can be integrated into all areas of industry solutions. From retail, warehouse, distribution, point-of- sale, and healthcare to maximize productivity, speed up checkout lines, and track inventory. Contact us if you have any questions on which Code scanners is best for you and we will be happy to help. One trade-in reader and one purchased reader equals to a rebate. Trade-in readers are returned through Code’s RMA process. Offer cannot be combined with any other promotion or discount pricing. Promotion are subject to change anytime. Offer valid in the US. End User Promotion. Promotion ends December 31, 2018. 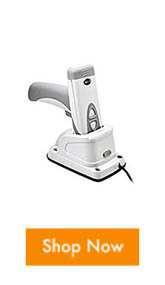 Whether you need a scanner for manufacturing, logistics, supply chain, healthcare, or pharmacy; Code have a scanner for your scanning applications. 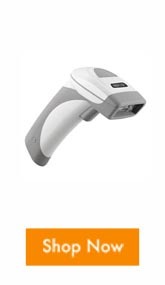 The Code CR1500 barcode scanner comes in an industrial and healthcare version. Both have distinct feature to help you scan all your 1D, 2D scanning needs. Check out the great features below and see why the CR1500 is the reliable and affordable scanner that you are looking for. In addition to the CR1500 we are promoting, in honor of fall Barcodes, Inc. will like to offer 10% off on your web order through September 21,2018. Use code: FALL10*. Take advantage of the sale and shop now on our site! *Enjoy 10% OFF on orders over $100 on Barcodesinc.com through Steptember21, 2018 at 11:59pm CST. Offer cannot be combined with other offers, promotions, or discounts. Offer valid on web pricing only, this offer does not apply to existing quotes. Online use only. 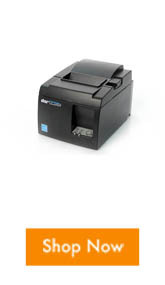 The new and improve TSP100III series printer is the POS receipt printer that’s right for your shop. With WLAN, LAN, Bluetooth, or USB interface connection for an easy to use and ready to go installation. The TSP100III also known as TSP143 III model includes a special feature that allows printer communication and tablet charging, that removes clutter from any workspace. This new feature lets you use one wire for two jobs. 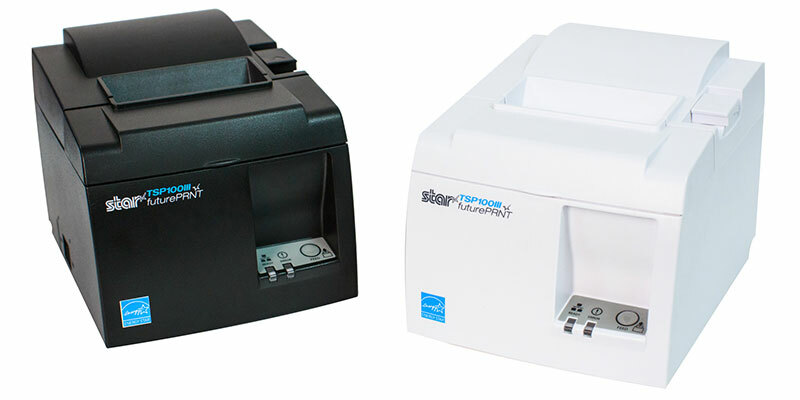 The TSP 143III is the faster, easier, and better POS printing solution, combined with its powerful futurePRNT software, users can enhance the looks of their printed receipts to add logos or coupons to build brand loyalty and much more! Universal with most POS systems feel free to contact our professional team to learn more and find out which model and connection is right for your shop. 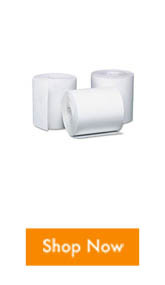 If you already have the printer, shop the consumables that you need to keep your receipt printer up and running. In addition to the new product we are promoting, in honor of fall Barcodes, Inc. will like to offer 10% off on you order through September 21,2018. Use code: FALL10*. Take advantage of the sale and shop now on our site! *Enjoy 10% OFF on orders over $100 on Barcodesinc.com through Steptember21, 2018 at 11:59pm CST. Offer cannot be combined with other offers, promotions, or discounts. Online use only. 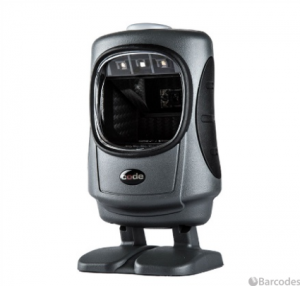 The Code CR950 is an easy to use, aggressive, and durable barcode reader that rapidly reads 1D and 2D barcodes. It’s unmatched durability makes it an investment that will last. With features such as driver license parsing and mobile screen barcode reading can speed up productivity in retail environments. Watch the video below to see it in action and see how it can increase efficiency in your environment. Feel free to email our dedicated account managers or give us a call at 800-351-5086 and we will be happy to help. In a fast paced environment, you will need a reliable scanner that will keep the line moving. 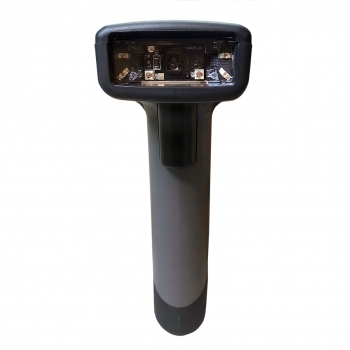 The Code CR5000 is designed to handle 1D, 2D, and postal codes with speed and accuracy. 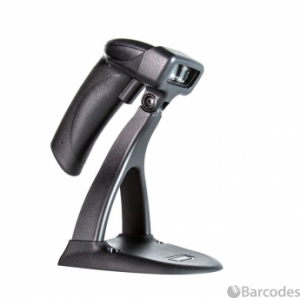 With rapid hands- free operation and optional trigger barcode reading, it can easily read barcodes that are small or on illuminated mobile device screens. 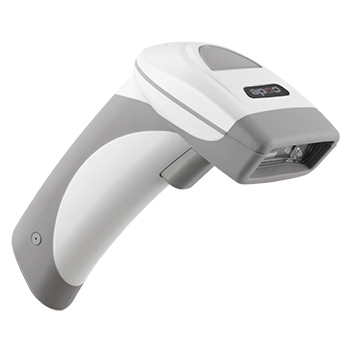 Click to watch the video and see how the CR5000 is the right barcode scanner for you. It is small but it can do it all! Email us or give us a call at 800-351-9962 if you have any questions or would like a quote on the CR5000. As the mobile world continues to grow there have been many solutions that help equip mobile devices with barcode reading capabilities. The Code Reader 4300 (CR4300) is revolutionizing how those mobile devices become enterprise-grade data capture devices without the size, weight, expense, and power draw of traditional scan engine modules. The CR4300 takes the camera from an iPod or iPhone and combines it with a patented optical platform and 2D Revolution, Code’s world-class decoding software, to create a user-friendly, high-performance barcode reader. 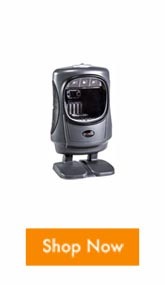 By eliminating the scan engine module, the CR4300 is a departure from traditional barcode reader sleds. Not only can the CR4300 easily read some of the toughest 1D and 2D barcodes it provides a protective case to keep mobile devices safe in a variety of environments. The CR4300 also comes with a 3,000 mAh back-up battery to keep the iPod or iPhone charged and running on long shifts. The lightweight design, 10.1 oz (0.63 lbs), is durable and has a disinfectant-ready case built for environments like healthcare, point-of-sale, event management, inventory, field services, and many more applications. Comes with a built-in gauge to keep users informed of battery status and can be charged quickly via USB or multi-bay drop in charger. Streamlines mobile barcode reading by using iPhone/iPod camera. Provides clear targeting and convenient scan buttons so users can scan quickly. Keeps mobile devices running with 3000 mAh battery backup. Informs users of battery status with built-in gauge. Protects iPhone/iPod with durable, disinfectant-ready case. 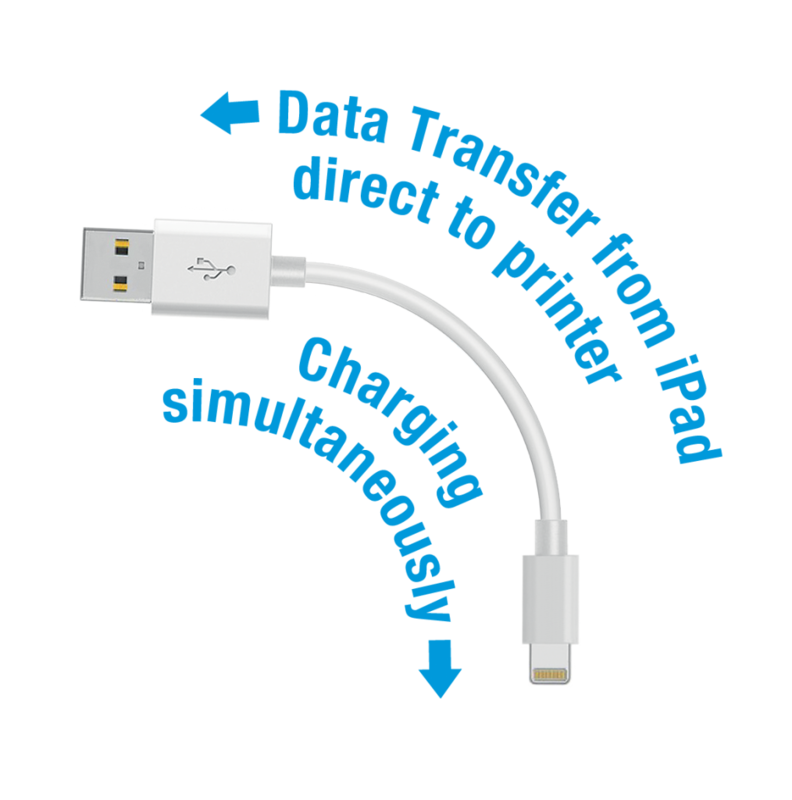 Charges quickly via USB or with drop-in, multi-bay charger. 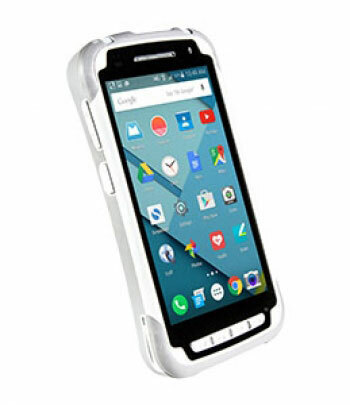 The CR4900 comes in a sleek, mini tablet form factor with the flexibility of the Android operating system. With a size small enough to fit in one’s hand it still features a large, multi-touch screen for users to easily interface with mobile applications. Code has out done themselves with a premium mobile device that comes with fast-switching Wi-Fi that provides uninterrupted voice communication. Comes with built-in Bluetooth 4.0, Near Field Communication, and High Frequency RFID to ensure that the CR4900 easily interfaces with a multitude of devices and platforms to enable any workflow. Designed to minimize downtime and maximize productivity thanks to the hot-swappable battery and wrapped in an IP54 disinfectant ready case. The CR4900 is perfect for the needs of healthcare, retail, hospitality, field service, and a variety of other applications. Superior decoding of all 1D, 2D, and Postal barcodes. Hot-Swappable Battery maintains active applications during battery change. Fast-switching Wi-Fi ensures uninterrupted communication. Bright, 5.0″ multi-touch Corning Gorilla Glass 3 screen. Dual user programmable alert LEDs. Software development kit (SDK) assists in creating custom barcode reading applications. Single-bay and quad-bay charging stations available. For any questions or a quote on any of your mobile computing needs contact us at Barcodes, Inc.